I thought I was going to be highly twitter challenged but I think after a panic attack and 3 aspirin, I finally have it figured out. Oh yeah, I was being sarcastic about the panic attack and aspirin but twitter just isn't like other communities. So now that I understand about the micro blogging, I think I'm okay. I even surprised myself by getting twitter to show up here. Whoop! Of course, when things get busy, I foresee a blogging and twitter absence from myself but .... until then, I'm going to force myself to Tweet. Another friend hooked me up with Champagne Books and while I did query in the traditional manner, I think it was her good word and endorsement that helped land me my first contract. As a relatively new publisher at the time, Celestial Dragon floored them with the amount of sales generated that first month. Floored me too. So much so, that they put it into traditional paperback form a year later. And now, almost three years later, I find out it's coming out in hardback. Wow. So, yeah, backwards. Most big name authors start with hardback, then paperback, and then e-book. For me, it was e-book, paperback and now hardback. Why? The genre. Since my book fits in with sci-fi, and my other sci-fi author buds, Kerry Tolan and Todd Hunter have been attending sci-fi cons, the publisher is more than happy to put our books in hardback because they tend to sell even better at cons in this format. I'm so excited. I can hardly wait to see it. You'll be hearing me jump for joy whenever I hold that sucker in my hands. Whoop! I've been remiss in posting here lately, but there's a good reason. This past week I've started back to school. Yep, I have inservice type meetings all week then the students return and my writing time will be reduced to a snagged hour here and there. It's all good. This year I've promised myself that the students will do all the real work. We'll see how far that goes. Thank you Linda for bestowing this award on my blog. 1) Accept the award, and don’t forget to post a link back to the awarding person. 2) Pass the award on. 3) Notify the award winners. 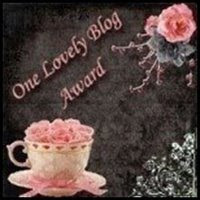 Here are my recipients for The One Lovely Blog Award. 1.) Green Beez which is hosted by one of my critique partners, Gin and whom I dearly love. Check out her blog for her interesting views on life. 2.) Dishing it Out with Ginger Simpson. 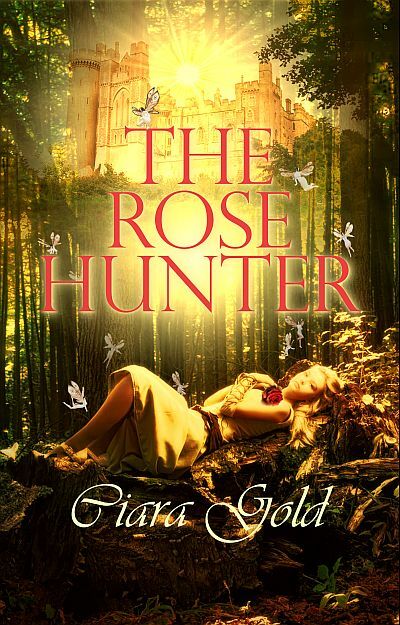 Ginger writes romances packed with great emotion and strong visuals. Her Eppie nominated, Embezzled Love is a story that touched me in so many ways. 3.) Kimber Chin's Business Romance is fun because she's always giving away an e-book to one luck winner. And, I love her business romances. She has a wonderfully unique way of weaving a story together. 4.) Ramble with Rayka which is hosted by Rayka Mennen, a delightful writer with an arsenal of great books. 5.) Candace Morehouse writes historical westerns and contemporary romances for Champagne Books. I thoroughly enjoyed Golden Enchantment. 6. Nancy Henderson's Blog. Nancy writes historical romance and paranormal romance for Champagne and is another author who makes the reader feel as if they are there in her stories. So Sunday was just one of THOSE days. You know, we all have them. I bought a mini-mac not too long ago to support some fairly heavy graphic programs. Oh yeah, macs rock when it comes to graphic output. But I love my PC. I have everything on her and yes, I know she's 8 years old but she works like a charm. Until, she realized I bought that mac. I think she was jealous. She started acting up and doing odd things. I think it's the motherboard, but in an effort to use both, my son hooked up both to my monitor with a way to switch back and forth. Pretty cool really. But, realizing my PCs days were numbered, I saved all files to the external and didn't give them another thought. I also recognized the need to switch my printer over to my mac. Oh, now there in lay the problem. My mini doesn't support my 4 -yr-old Magicolor 2400W. So I go to look for drivers. None to be had but I did find a forum that gave me a way to get it working. I followed the instructions and - it still didn't work. No worries, I still have my PC. She hasn't died yet. Wrong. She died on Saturday. I think I'll have her funeral on Friday. Enter Sunday's drama: I am working nonstop on the magazine (a local magazine I moonlight for as their editor and now layout person) when my husband says, "By the way, the renters are coming at 8:30 to sign a lease." What? That's in two hours and it's Sunday. "I have no printer!" Ack, so - I'm smart. I can fix this in two hours. I decide to hook the printer to my son's computer. He originally had my computer acting as the hub for all the computers in the house. I see where the printer is in his control panel and try to print. Nope. Won't print. I reinstall the printer and YAY, it prints. But where did I put that lease. Oh, yeah, on the external. I unhook the external from my PC and rehook to my mac. I find the lease but it's in word perfect. ACK. No worries, I'll e-mail it to myself and print from my son's computer. I open up the file and - yep my son doesn't have word perfect on his PC. I find the disk and prepare to install. I get the error message. Not enough memory to install. Grrrrrrr. Back to square one. I look at the clock. I have an hour left. Think. Okay, I"ll open up the file on my laptop and convert to rtf. Problem solved. I do this and e-mail it to myself again. But when I open up my beautifully written 10 page double columned contract, I discover a foreign language. The columns are all over the page and instead of 10, I now have 79 pages of rambling rhetoric. Arggggggg. Thirty minutes left. All I need is the front page and the signature page, the one with the increase in rent. I can copy the other pages and staple is all together. No one will ever know. I did manage to rearrange, reformat and rebuild one page before they rang the doorbell. Needless to say, either my son needs to figure out how to make my printer work on the mac or I have to go shopping for a printer I can't really afford. What a trip.